Protect your facility and employees with a top of the line video security system designed by CMS. We offer high quality products from the most trusted names in the surveillance industry. Creative Media Solutions designs and installs security surveillance systems to reduce risk while providing security. 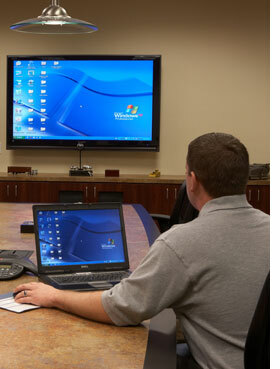 We integrate the entire system so you have complete access and control of your business environment. Look to CMS for consultation, design and installation of all your voice and data low voltage cabling requirements. Eliminate the frustration of poor network performance or downtime by working with CMS to design a smart cabling system to meet your specific applications. From a single voice or data cable to a multi-floor or multi-site system, we can design the right solution for your business. CMS installs complete audio video systems, from small to large scale, and integrates everything for your convenience, making it easy for you to control your environment. We are your one stop professional solution for all your audio video needs. 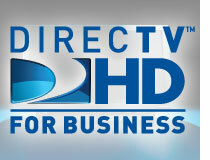 We offer everything from DIRECTV® for Business and Custom Business Music Solutions to Dynamic Digital Signage, Security Surveillance Systems and Voice & Data Low Voltage Cabling. We provide consultation, design, installation, testing, training and follow-up service of commercial systems. We have a variety of TVs, speakers, controls, signal processing, programming, customization, and security surveillance equipment to choose from. We also offer complete voice and data low voltage cabling. At CMS, we help you to create a lasting impression.